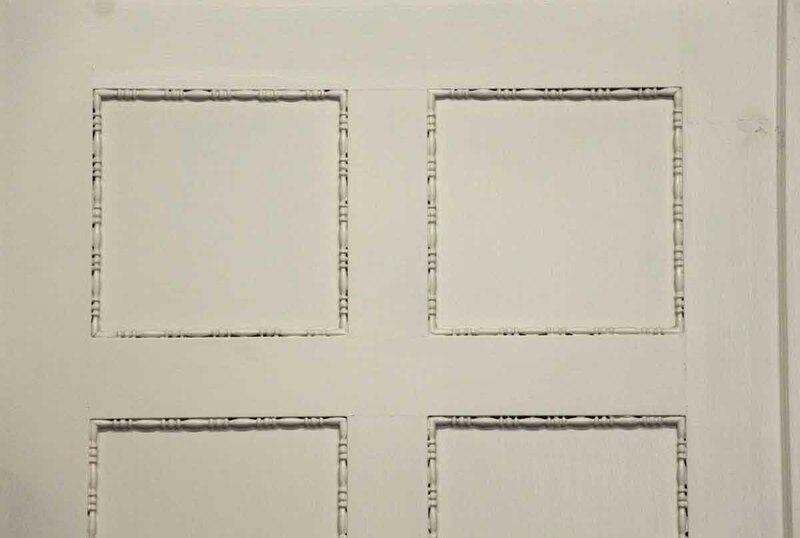 Painted white wooden doors with six decorative trimmed panels on one side and four textured panels on the opposite side. 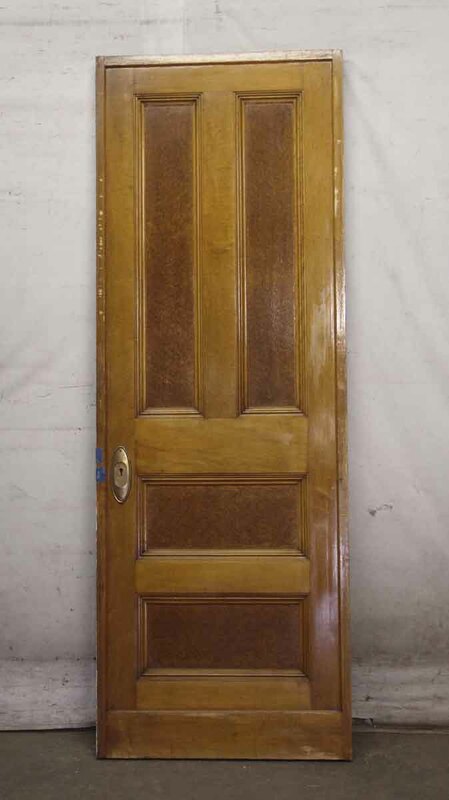 The door has a medium tone wood color on the opposite side. Panel decoration matches N256336 & N256337. Priced each.